Oh please, oh please, oh please, oh please, let this be an actual game which would merit its inclusion into MobyGames! I spotted My Fantasy Wedding in the clearance software section of an office supply shop. I purchased it even though I was unsure of whether it was technically a game vs., say, a shrink-wrapped wedding planning application. But it was still too tempting. When I got it home and peeled off the clearance sticker, I saw the ESRB rating badge — that means it has to be a game, right? Who says there are no video games for girls? You know, in a recent MobyGames forum thread, another long-time contributor expressed shock that I had not resorted to cheap or dirty tricks in order to keep gaining MobyGames contribution points. That depends — could it be considered an unfair advantage that I’m willing to try games that no one else would go near? 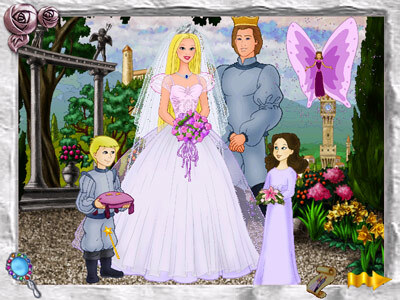 The title screen of this game greets you with squeaky excitement as your virtual narrator describes all the business that needs to be attended to before the wedding may take place. The first thing to do is to choose your bride avatar. Then choose from among 4 wedding locations, and then choose your bridesmaids. Then, you get to choose your groom. Not only that, you get to choose his groomsmen. If all of that is too much work, you can always click the curler-wearing “mother” icon who will make these choices on your behalf and allow you to get straight to the important stuff — shopping. Much of the action takes place at the mall where you shop for dresses, tuxes, jewelry, bouquets, cakes, and everything else that a happy bride needs for her big day. Where does the “game” aspect enter into play? 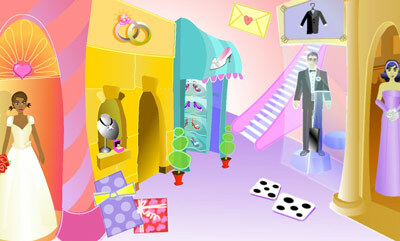 There are a number of minigames interspersed throughout the mall shops, each with 3 levels. 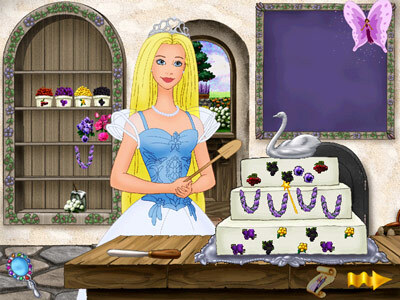 The incentive to complete these minigames is that success unlocks more options in all of the various stores; more dress styles, more cake types, more flower species, etc. 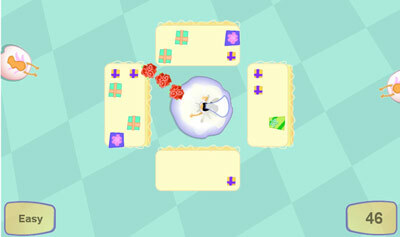 One minigame is a matching game which requires neither an explanation nor a screenshot — this must be the easiest type of minigame to engineer. At least it’s smart enough to limit the number of misses that the player gets. There is a gift packing game that is almost like a sideways Tetris block game — pack as many rectangular wedding presents into the car as possible. 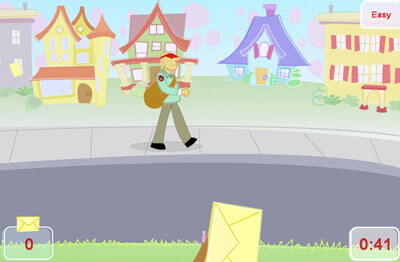 There is also a Pac-Man clone that has a slight twist– it’s the flower girl game where the flower girl leads the bride through a maze to collect various treasures for the wedding. The antagonist in the maze is just the single groom — the groom must not be allowed to see the bride. 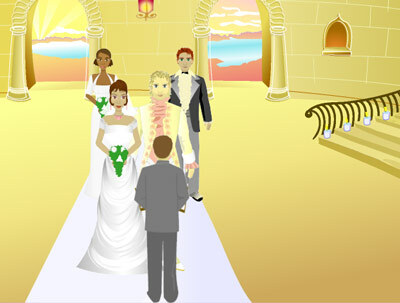 The twist is that the player controls the flower girl while the bride follows a few steps behind. So the game requires some real-time planning. 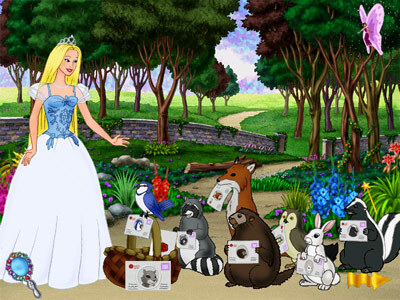 This was one of my favorite games — the invitation game. Fling letters at the letter carrier marching to and fro on the sidewalk. I think this game could be considered a spiritual clone of Paperboy since it’s possible to break windows on the buildings in the background. Those invitations must be using some thick, expensive card stock. 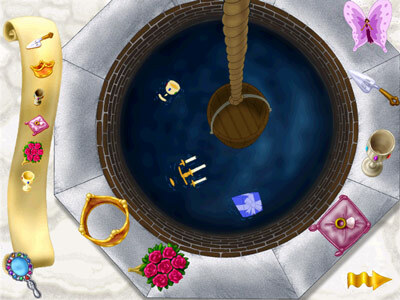 This is the most messed-up of the 6 minigames that My Fantasy Wedding has to offer — the bouquet game. It seems that your friends think you are the recipient of entirely too much generosity. You have too many presents and they want to steal your presents. You need to lay down a suppressing fire consisting of bridal bouquets to pacify your covetous girlfriends until they get their own fantasy weddings. It’s important to fire bouquets constantly in this game because the floral ordnance travels slowly and these greedy girls are slick. There is much music in the game. A lot of it can be selected at the wedding music store in the mall. These are all the different songs that can be played during the wedding proper. These themes are recognizable, traditional, and public domain. However, different minigames and stores have assorted songs playing in the background. Many seem to be one-off renditions of more modern (i.e., copyrighted) songs. I just know that the song which plays during the dice game (where you and your girlfriends roll dice for bridal shower gifts) is an homage to the 1999 Santana/Rob Thomas song, “Smooth”.